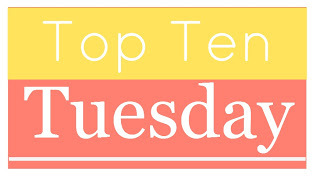 This week’s Top Ten Tuesday topic is perfect for me, since I love movies almost as much as I love books! The task is to list 10 great film adaptations, 10 terrible ones, or mix and match. I’m going to take the latter approach and give you five excellent movie adaptations followed by five (ahem) less successful ones. Links go to the movie trailers, if you’re interested! 1. “Much Ado About Nothing” (Kenneth Branagh, 1993) — Much Ado is my favorite Shakespeare play, and this is one of my absolute favorite movies. It’s got an amazing cast; everyone handles the dialogue magnificently, and even Keanu Reeves is funny (though perhaps in his case it’s unintentional…). It’s romantic and exuberant and really does justice to this classic play. Of course, I also have to mention Joss Whedon’s recent version, which is wonderful in a different way (and it’s still playing in theaters, so go see it!)! 2. “High Fidelity” (Stephen Frears, 2000) — This adaptation stays very faithful to the novel by Nick Hornby, except for moving the setting from London to Chicago. I’ve always had a soft spot for John Cusack, at least in his earlier stuff, and he’s really the perfect guy to play the sad-sack, music-obsessed Rob. The soundtrack is very cool, as is appropriate for a movie about music, and the deadpan humor is a perfect way to lighten the somewhat depressing plot. 3. “The Thin Man” (W.S. Van Dyke, 1934) — I have to admit, I think I enjoyed the movie even more than Dashiell Hammett’s book! William Powell and Myrna Loy are so great together, and it’s sheer joy to watch them banter back and forth. The mystery plot is intriguing (as is the mystery of how everybody can drink so much without falling down drunk! ), and there are plenty of wacky secondary characters to enjoy. 5. “Clueless” (Amy Heckerling, 1995) — This is flat-out one of the best Austen adaptations I’ve ever seen. (It’s based on Emma, if you didn’t happen to know.) Since I’m a child of the ’90s, it also has great nostalgia value for me; there’s even a cameo by the Mighty Mighty Bosstones! Alicia Silverstone is perfect as the vapid yet ultimately likable Cher, and Paul Rudd is Paul Rudd, so enough said. 6. “How the Grinch Stole Christmas” (Ron Howard, 2000) — Dr. Seuss’ beloved children’s book had already been made into a charming 30-minute cartoon narrated by Boris Karloff. (I love it. I have it on DVD. I watch it every year at Christmas!) So I guess my question for Ron Howard is: Why did this live action monstrosity need to happen?!?! There’s an entirely fabricated story about how the Whos used to be shallow and materialistic, as well as a love story (!) for the Grinch. 7. “The Count of Monte Cristo” (David Greene, 1975 AND Kevin Reynolds, 2002) — I have seen two adaptations of Dumas’ classic novel, and they are both awful. To be fair, I don’t remember much about the 2002 movie — I actually saw it in theaters! — but I do remember that it completely changed the ending. As in, NOTHING was the same! As for the 1975 version (starring Richard Chamberlain), which I recently watched with my mom, it was just hilariously bad. If you don’t believe me, watch the trailer — at least until [0:35], where Mercedes screams “Edmoooooooond!” It’s actually so hideous that it’s kind of fun to watch! 8. “Ella Enchanted” (Tommy O’Haver, 2004) — This movie is based on a charming little book by Gail Carson Levine, which I really enjoyed. Unfortunately, the film changed the plot so much that it’s almost unrecognizable! Also — and this is just a personal thing — I don’t like Anne Hathaway, so I wasn’t all that invested in her problems. (Young Hugh Dancy was totally cute, though!) I have to admit that I did kind of enjoy this movie, but that was mostly for the spontaneous musical rendition of Queen’s “Somebody to Love.” It certainly doesn’t do justice to the book! 9. “Pride and Prejudice” (Robert Z. Leonard, 1940) — I love P&P and collect all the movie adaptations I can get my hands on, but this particular version is shockingly unfaithful to the book. Darcy calls Elizabeth “Lizzy,” Lady Catherine is a kind old broad at heart, and Colonel Fitzwilliam wears a kilt! In the drawing room! I must say I enjoy watching the movie, though; it’s campy and fun, and the women’s sleeves alone make it worth watching! 10. “The Age of Innocence” (Martin Scorsese, 1993) — How can this movie be so bad when Edith Wharton’s novel is so good? I blame the absolutely horrendous casting. To be fair, I’m not a huge fan of any of the three main actors (Daniel Day-Lewis, Michelle Pfeiffer, and Winona Ryder). Maybe you’d like the movie better if you like them; but personal preferences aside, nobody seems to be a good fit for his/her role. The dialogue is wooden and the acting robotic. In sum, the thing is just bad. Phew, that list was hard to compile…and now I’ve just thought of about 10 more movies I could have included! Oh well, I’ll just have to save them for the next time this topic comes around! Cate, the reasoning is obscure to me too! I suppose the Powers That Be thought that more Americans would go see the movie if it was set in America? But “High Fidelity” is still a good movie…unlike the American version of “Fever Pitch,” which really was not. Agree about The Age of Innocence – it was a dismal movie. Likewise the recent ‘rewrite’ called The Innocents was terrible. I actually kind of liked The Innocents, although I’d certainly agree that it’s very different from Wharton’s original. Since I’ve only read The Age of Innocence one time (and therefore don’t have the same level of attachment I have to, say, Pride and Prejudice), I was able to enjoy The Innocents on its own terms without picking up on all the differences between the two novels. I love your “best” list. Clueless is one of my favorite adaptations. I haven’t seen any of your “worsts” but that’s because I avoid movie versions of Dr. Seuss like the plague. That seems like a good principle, as I’ve heard that “The Cat and the Hat” and “The Lorax” were quite dreadful also! So pleased to see High Fidelity on your list. I picked that and About A Boy as two of my favorite adaptations. I just love Nick Hornby and his books make excellent movies. I liked “About a Boy” as well…Hugh Grant plays likable narcissism very well, doesn’t he? And wouldn’t you love to see a movie adaptation of Juliet, Naked? I certainly would! Aww! My reaction wasn’t quite that strong, but I remember kind of sputtering in confusion as I left the theater. I agree on all fronts. I haven’t seen all the worst movie adaptations you mention, but the ones I have seen are indeed QUITE BAD. Yes, these movies are terrible; you can’t argue with the cold hard facts.